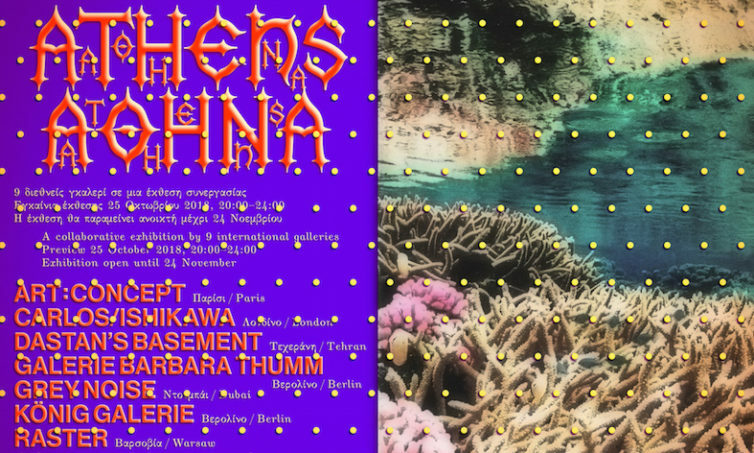 The Breeder is hosting Condo Unit Athens, from 25 October to 24 November with the participation of 8 international galleries. Condo takes its name from ‘condominium’ and is a large-scale collaborative exhibition of international galleries. Host galleries share their spaces with visiting galleries either by co-curating an exhibition together, or dividing their galleries and allocating spaces. The initiative encourages the evaluation of existing models, pooling resources and acting communally to propose an environment that is more conducive for experimental gallery exhibitions to take place internationally. The idea of the project started in 2016, in London by Vanessa Carlos (Carlos/Ishikawa) with the aim of developing Condo in five regions: Europe, Asia, Middle East, Latin America and North America. In 2018 a more concentrated version of Condo called Condo Unit was also launched, where a smaller group of galleries were hosted in a single venue. The first Condo Unit took place in São Paulo at Galeria Jaqueline Martins, and the second is organized in Athens by The Breeder.